Brenner breathes new life and energy into the laptop sleeve category. Lander™, the creator of expedition-inspired mobile accessories has launched, Brenner™, a family of stylized and adventure-ready MacBook protective sleeves. 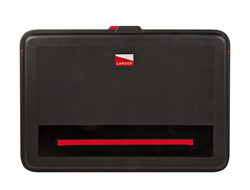 Lander’s Brenner sleeve is expedition-ready, today, and can be purchased for $49.95 at http://www.lander.com for use at home, at work, on-the-go or off-the-grid. Get out there. For media inquiries, please contact: Michael Bingham, PR Manager at mbingham(at)bgzbrands.com or 949-282-9817.